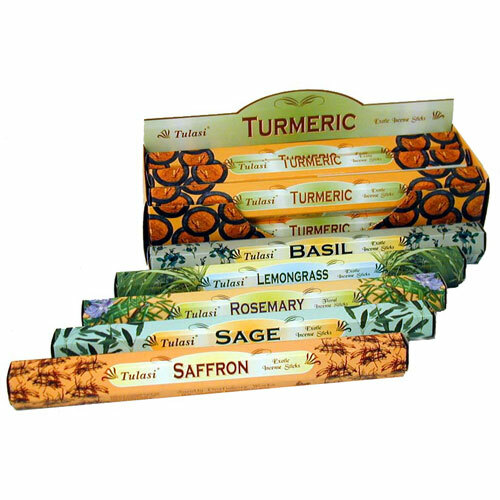 Twenty 9 inch Tulasi incense sticks in hexagonal pack. Six hexagonal packs of one fragrance per display box. 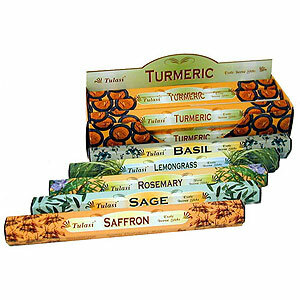 A variety of herbal fragrances available to supplement standard range. Can be bought alongside regular fragrances to get bulk price. Fragrances: Basil, Saffron, Lemongrass, Sage, Rosemary.